Car and Van Brake Check. You never know what’s around the corner or when you might need to stop quickly and safely. For this reason, it’s essential to have your braking system checked regularly by professionals. If you are unsure about the condition of your brakes, our friendly, expert technicians will check your braking system to identify any issues and help you stay safe on the road. If you decide to get your braking system repaired or replaced, then you can be assured that our parts will be of the highest quality and fitted by experienced people. For a free brake test, call into garage. Constantly stopping and starting on today’s overcrowded roads affects the braking system tremendously. The brakes in a car, or any road vehicle, are crucial in slowing it down or bringing it to a complete halt. Due to this function, brakes are a vital component of the car. WHAT CAUSES THE BRAKES TO DETERIORATE? 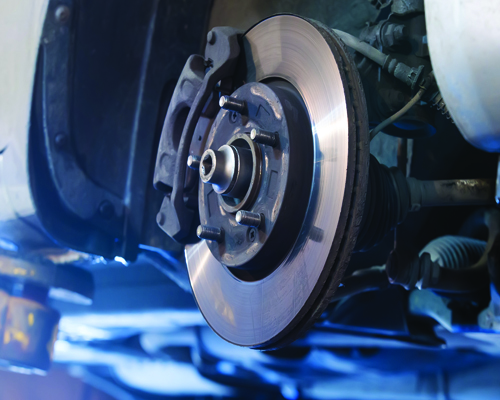 Brakes and braking performance deteriorate over time, as does any component. Since this wear and tear is a gradual process, it doesn’t become apparent to many people and any change in their braking system goes unnoticed. Therefore, having your braking system checked on a regular basis could save you time and money and will ensure the prevention of damage to other components. You don’t need to book an appointment, just drive in to Tyre Bay MCR in Manchester and we’ll take care of it. Tyre Bay MCR is an independent Tyre & MOT Centre in Manchester. This means, we are able to offer the very best deals on New Tyres, MOTs, Alloy Wheels & Alloy Wheel Repair. We aim to provide the highest quality products and services at the most competitive prices.